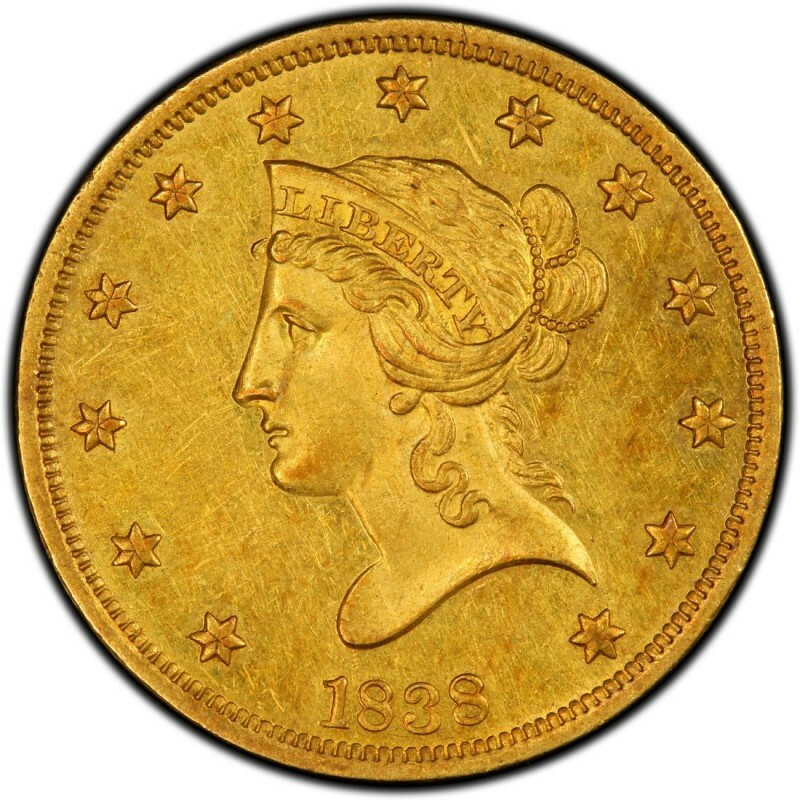 1838 was the first year of the Liberty Head $10 gold coins series. 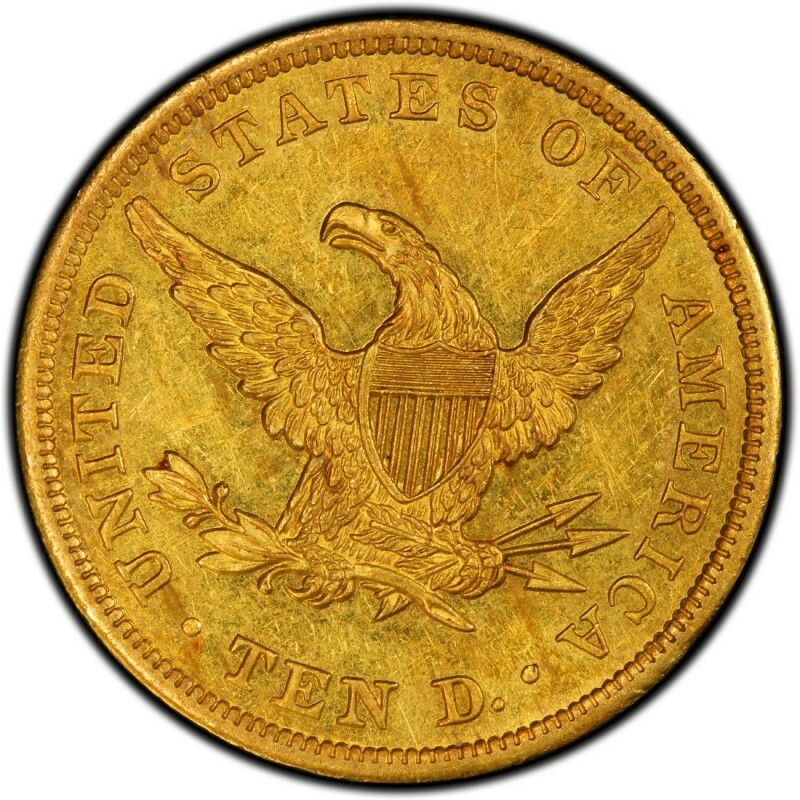 The Liberty Head $10 gold coin production marked the first time since 1804 that the eagle denomination had been produced. More importantly, though, the size and weight of the $10 gold coin shrunk significantly between the time that the Liberty Cap eagle ended in 1804 and the Liberty Head coin was first produced in 1838. The earlier $10 gold coins are 33 millimeters wide and tip the scales at 17.50 grams, with gold comprising 0.5121 ounces of that weight. The Liberty Head gold eagles are only 27 millimeters wide and weigh 16.72 grams, which means gold content comes to 0.4806 in weight. The 1838 Liberty Head $10 gold coins, designed by Christian Gobrecht, were made in very small quantities, with just 7,200 rolling off the press during the first year of production. Making matters even tougher for coin collectors who want an example of an 1838 $10 coin is that much of the original mintage has long since been melted down or lost to time, meaning that just a fraction of the 7,200 exist today. Still, as few collectors pursue 1838 gold coins, the $10 gold coin can be bought for about $1,800 in Very Fine 20. 1838 LIBERTY HEAD $10 GOLD EAGLE ALMOST UNC EXTRA RARE! ONLY 7,200 MINTED!